Presentation Topic: Exploring NJ Climate Variability and Change. Recently, New Jersey has experienced its wettest and warmest years in over a century of observations. Extreme events, including Sandy, Irene and an October snowstorm also suggest that something is happening to NJ’s climate regime. Natural variations alone cannot account for these NJ (and global) anomalies. Human influences on climate are significant, prompting discussion as to how society might mitigate or develop greater resiliency to increasing climate change. This presentation will explore the physical dimensions of the issue, both short and long term. It will also provide information on how those interested (including students and teachers in and out of the classroom) can contribute to the monitoring of weather/climate conditions in the local region by participating in the Community Collaborative Rain Hail and Snow Network and how they may follow current weather conditions throughout the state via the NJ Weather and Climate Network. Background: Dr. David A. Robinson is a professor in the Department of Geography at Rutgers University and since 1991 has served as New Jersey’s State Climatologist. A NJ native, he earned a bachelor’s degree in geology at Dickinson College in Carlisle, PA and a doctorate in earth sciences at Columbia University prior to arriving at Rutgers. 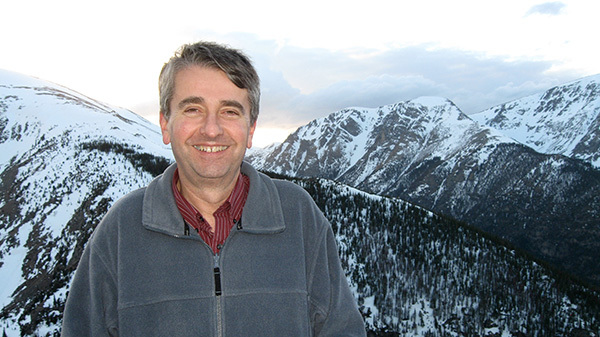 Dave's research interests are in applied climate, especially related to New Jersey, and in climate dynamics and change, particularly focused on global snow cover. He is a contributor to the Intergovernmental Panel on Climate Change, to the National Climate Assessment, and sits on the National Academy of Sciences’ Board on Atmospheric Sciences and Climate. Dr. Robinson is a Fellow of the American Meteorological Society, has been named a National Oceanic and Atmospheric Administration Environmental Hero, and is past president of the American Association of State Climatologists. Convention attendance is not required to attend the banquet. Information about how to purchase tickets is on the Registration Page. Dr. Robinson's presentation is sponsored by Liberty Science Center.